Access Home Inspection can assist you by performing lead paint testing on your home. 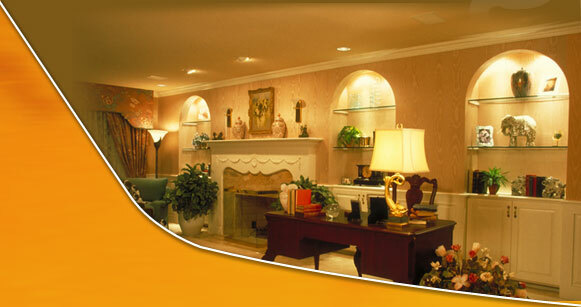 Prior to 1978, paints and other products containing lead where widely used on the interiors and exteriors of our homes. Today the US Department of Housing and Urban Developement estimates that about 38 million homes in the US still contain some lead paint. There are many ways that humans can be exposed to lead; through deteriorating paint, air, drinking water, ceramics, hair dyes and other cosmetics. Much of this lead is of microscopic size, invisible to the naked eye. More often than not, children with elevated blood lead levels are exposed to lead in their own homes. Lead is a highly toxic substance, exposure can produce a wide range of adverse health effects. Both adults and children can suffer from the effects of lead poisoning, but childhood lead poisoning is much more frequent. Over the years tens of millions of children have suffered its health effects. While lead paint that is intacted does not pose an immediate concern, lead paint that is allowed to deteriorate creates a lead-based paint hazard. It can contaminate household dust as well as bare soil around a house, where children may play. In either situation, a child who comes into contact with lead-contaminated dust or soil is easily poisoned. All it takes is hand to mouth activity, which is perfectly normal for young children to engage in. ALL IT TAKES IS THE LEAD DUST EQUIVALENT OF A SINGLE GRAIN OF SALT FOR A CHILD TO REGISTER AN ELEVATED BLOOD LEAD LEVEL. What are some health effects? There are many health effects associated with elevated blood lead levels. Young children under the age of six are especially vulnerable to leads harmful health effects because their brains and central nervous system are still being formed. For them even low levels can cause low IQ, learning disabilites, attention deficit disorder, behavioral problems, stunted growth, impaired hearing, and kidney damage. At high levels a child may become mentally retarded, fall into a coma and even die from lead poisoning. In adults, lead can increase blood pressure and cause fertility problems, nerve disorder, muscle and joint pain, irritablity, memory, and concentration problems. How can I see if my home has lead paint? If you live in a house built before 1960, it is very likely that it contains some lead paint. Between 1960 and 1978 some of the paint may have contained lead. Many solutions exist for cleaning up lead concentrations. Depending on your situation, removing the lead paint may be to much. You should consult a licensed contractor to complete this work. You may be able to cover up the old lead paint with a coat of sealant specifically designed for this purpose.